I'm sure its just my lack of knowledge of these phones, but I can only make phone calls if within wifi range. How do I make my phone roll to the Sprint network when out of wifi range? did you do a profile and PRL update? @njfulwider5‌ The SCRTN update automatically upgrades the PRL and Profile. sometimes it works and sometime sit does...every time I do it on my friends s2, it works.. Thank you. I just tried your suggestions. I will test it out the next time I leave the house (later today). I'll let you know. I didn't even know what you meant by "native dialer" so I'm sure I will have more questions later. I'm no fool. I just don't know anything about mobile phones. I'm just someone who prefers real face time to electronics and find myself in a bit of a time warp. There is a dialer in the freedompop app that is normally used to dial numbers. The 'native' dialer is icon with phone handset with green color. Dialing phone numbers from here is iffy at working. Some versions support using it others do not. Anyway when a special code is dialed to fix phone, use this one. @Jennifer Lucas‌ , a restate the Victory does the same thing with the Victory Phone without the ##update# deal. The best success will always be in 4g or WiFi when you do this. ##update# usually work for the Glalaxy, I am trying to figure out the deal without going as extreme as MSL....But thanks, You Rock!!! You reset the PRL and Profile alone with other update by just restarting the Victory Phone, this only applies to Victory phone. All the other phones work the way you say it does. I own a Victory Phone. I do not know about the fast boot, I do know it always have done this sense I had it. I think it build in the customer FP did before it was deliver to me. I do not shut down my phone. I kind it plus in all the time when not using it. @Brian McPherson‌ You have a FreedomPop branded Victory? Then you have the custom FreedomPop ROM. I understand all the FreedomPop branded phones will update PRL and Profile when booted. @njfulwider5‌ Thanks, good to know. It's the same thing Verizon phones do when they restart... Their PRL and profiles update automatically from the sim. Well I've done the scrtn update as suggested a few times. I can still only place and receive calls when in wifi range. Last night I had a flat tire and was stranded along the roadside. I had to walk along an icy road shoulder (with my cane) and ask complete strangers who were doing a car repair on the shoulder. They were thankfully good people (as most people are) and let me use their phone to call for assistance. I realize I am quite vulnerable in a situation like this. I don't get around very well and if I would for instance slip on the ice I don't have the strength to get back up. There I would be helpless like a turtle on its back. The only reason I have a phone is for roadside assistance and mine was useless. I need more help. I need to be able to depend on my phone. I hate to give up and pay for an expensive plan. Any suggestions? I compared all the MVNO's on the Sprint system looking at the lowest cost ones with 50 or less minutes per month. Freedomopop wins at $0, next was ringplus at about $2.47 per month, with 50 minutes included. They use CDMA for their phone calls. I find that coverage more complete than the 3G/4G signals needed for data & VoIP. 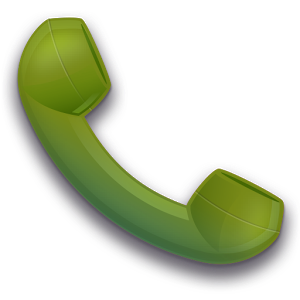 If needed, an emergency cell to reach out to connect with friends to assist. Is the way to go. I'd prefer to use CDMA over VoIP, cause I don't get the choice of where to stand when calling. Third place was about $7-8 per month. Most of rest are over $10 for minimum costs. I believe that ringplus will accept deactivated FP phones in their system. The drawback is having to wait up to 30 days between deactivating FP and being able to activate at ringplus. Thanks for the information. I think I have been working with you via E-Mails relative to getting our 4 Galaxy Victory phones working on Cell Tower signals. Anyway, 3 of the 4 phones were to be used by people with disabilities as is the case with Jennifer Lucas. It appears that the VOIP technology that FreedomPop uses would be very dangerous for the 3 of us to depend on. I logged into Overdrive Pro Hotspot account from this Victory and noticed WiFi symbol change to 3G symbol! So I disabled WiFi. Then, I logged into this forum and typed this with Victory. This first time any of my 4 Victory phones received Mar 2, 2015, have connected to Cell tower!!!!! I got frustrated when nothing I tried worked so I just stopped using the phone. After I got a check engine light in my car I realized I needed to resolve the issue with my phone. I finally got someone who sent me a code so I could do a complete factory reset. Yay!!!! my phone works......But now I have a new mystery. Any thoughts on this mystery?